As global mobile data traffic exceeded PCs’ and continues to grow there is no company in the world yet hesitating about the importance of being presented on smartphones and tablets. Although there are doubts about the best way to do it. First, you need to make your website responsive, which you are likely to have done by now, right? Then you can either roll out a native app or launch a mobile web application. And this is the place where you are probably going to get stuck. Which one suits my business better? 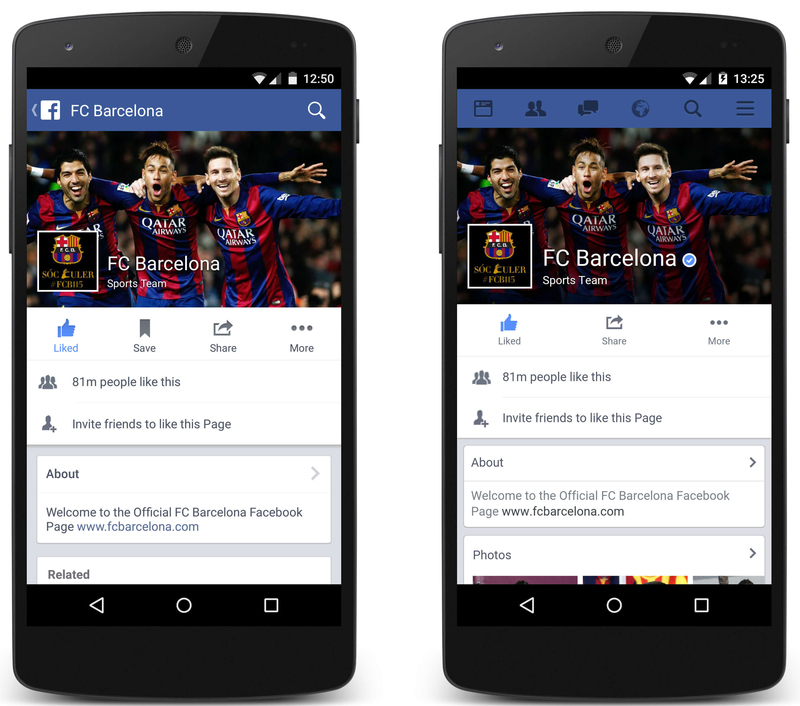 Even more – what is the difference between native and mobile web apps? This article will help you to figure it out. Let’s begin with the definitions first to get a proper understanding of what native and web applications really are. So, a native app is a program developed for one particular or a few similar mobile devices running on a specific operating system. It must be downloaded from an application store and installed directly onto the device. These apps are developed with native programming languages of the devices’ operating systems, for instance, Objective-C and Swift for iOS, and Java for Android. 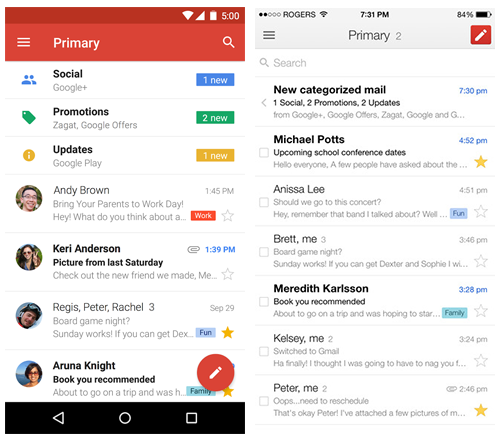 A good example of a native app is a Gmail mobile client which comes preinstalled on Android devices. For iPhone / iPad it can be downloaded from the App store. A mobile web app is an app which doesn’t need to be installed on a smartphone or a tablet. It runs inside a mobile device’s internet browser, like Chrome or Safari. Strictly speaking, it’s not a real application, rather a website specifically designed for mobile devices. Sometimes it can be recognized thanks to m. in browser’s address bar, e.g. m.facebook.com. Here is a simple illustrative infographics and a detailed explanation below for you to have a deeper dive into native and mobile web app peculiarities. + Native apps are designed for a specific operating system and specific devices, that’s why they are well optimized. Users experience a polished native interface with quality graphics, great work speed, and can use all native features of the device (camera, Bluetooth, push notifications, etc.). + Native apps are distributed via native marketplaces, which means you will receive a good transportation system to a wide audience and a possibility for a great free promotion in case your app hits TOPs. + Native apps can work offline. Although you need the Internet to download them, an interface and functions are available without connectivity. – One app for one operating system only. To reach other platform users, you need another native app, which obviously increases the development time and doubles the cost. However, if your app is relatively simple and doesn’t require full integration with every device and operating system, you can take advantage of the cross-platform development technologies like Qt, for instance. – Bug tracking, updating, and other maintenance operations are more complicated and expensive if you have two or more apps. – Must be installed in internal device storage, requiring free memory space, which may turn out to be a real problem for some users. – Updated on user side, thus, the app owner cannot control upgrades. by simply entering the address in your mobile browser’ bar. + Cross-platform. You develop one app and it works on every device and on every operating system, which is very cost- and time-effective. + Updates and maintenance works are performed on the server side only. All the changes made to a single application instantly are available across all platforms. + Mobile web apps are accessed through the web, not through the native marketplaces. So your product doesn’t have to meet all the third party requirements and terms of service. – Mobile web apps don’t work without the Internet. At least didn’t use to. However, now that’s not such a big issue, as HTML5 technology supports application caching, which enables offline access to previously visited pages or previously launched scenarios. – Mobile web apps are not optimized and not integrated with an operating system. Which means they work more slowly than native apps and cannot access all device’s native features. However thanks to HTML5 now mobile web apps can use GPS, file uploading, accelerometer, local storage, and some other functions. – Security issues. Any vulnerability that affects websites can also harm mobile web apps. Multiply this by access to contacts, device’s local storage, and add bugs/issues brought by multi-platform development tools. – All data (including users’ personal information) are stored on a server, which means more queries and сonsequently a greater load on server. Well, Captain Obvious says, it depends on what you need. all app features must be available offline. device and OS features are not necessary. And remember, quality is paramount. If it is not your top priority, it doesn’t matter what you choose. At the end of the day, you will have no customers but a huge amount of wasted time and money instead. So, unless you are a god in programming, outsource the work to a professional app development company.